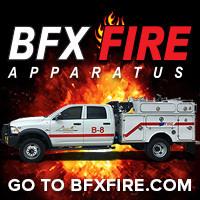 Contracting for aircraft, fixed wing and rotary wing, in fire suppression and management. Recognizing that there is a year-round risk for damaging vegetation fires in parts of Australia like in the Western United States, the New South Wales state government has announced funding of $26.3 million to purchase one large fixed wing air tanker and two fixed-wing lead/supervision aircraft. Richard Alder, General Manager of Australia’s National Aerial Firefighting Centre (NAFC), told us the intent of the NSW government is to maintain a resident near-year-round large airtanker capability. This resident capability will continue to be supplemented by contracted seasonal large airtankers. Tracking of six water bombing aircraft on December 1, 2018 at Agnes Water and Deepwater bushfires in Queensland, Australia, including one helicopter (green line) which dropped 190,000 litres (50,192 gallons). Image credit: Queensland fire and Emergency Services. 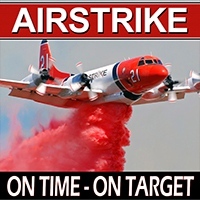 In recent years NSW and Victoria have hired large air tankers, primarily from Canada, for their summer bushfire season. During the 2018-2019 summer the two governments have six working, including one 737, two C-130s, and three RJ85s. They have also brought in six Erickson Aircranes, as well as other heavy helicopters. The NSW government purchase of the large air tanker and lead/supervision airplanes will be through an upcoming tender process. Likewise the maintenance and operation of these aircraft will be contracted out. On December 5 the Australian federal government announced that they would contribute an extra $11.0 million to aerial firefighting for 2018-19 via NAFC. This was part of a larger funding package ($26.1 million in total) that included a number of other initiatives to support bushfire response and community resilience. (More details of the overall package here). The $11.0 million for aerial firefighting is a one-off extra contribution for 2018-19, recognizing that the Australian 2018-19 season is forecast to be above normal in key bushfire risk areas. For 2018-19, it means that the total direct contribution to aerial firefighting from the federal government will be $25.8 million. Mr. Alder said that in Australia the responsibility for land and forest management and bushfire prevention and suppression constitutionally rests mainly with state and territory (provincial) governments. The federal government contributes funding and other resources to assist the states and territories. With aerial firefighting, the state and territory governments and the federal government collaborate through the NAFC which handles contracting of aerial resources on behalf of the states and territories. This provides coordinated approaches to market, common standards and interoperability. Four dedicated mapping/strategic intelligence gathering fixed wing aircraft (three Lear 35/36 jets and one Kingair turboprop), equipped with infra-red line scanners, image processing and high bandwidth communications systems. Two night vision equipped helicopters for suppressing fires at night (and several other NVIS helicopters for support tasks). The current NAFC large air tanker contracts are for three years with options to extend to five years, Mr. Alder told us. Five of the six working in Australia this year have mandatory availability periods (they call them “minimum service periods”) ranging from 84 to 112 days; a sixth is for 152 days. The U.S. Forest Service MAPs are usually 133 to 160 days, and the USFS contract that is out for bid now is for one year with options to extend to five years. Both the USFS and NAFC can, and often do, extend the days worked within a season beyond the minimum as needed. To our readers: does anyone care to speculate which aircraft NSW will purchase in their goal to spend $26.3 million on a large air tanker (LAT) and two fixed-wing lead/supervision aircraft? I don’t see how the LAT could be new. Even if the CL-415 were still being manufactured, it’s generally not considered a large air tanker since it can only carry 1,600 gallons. And the last ones produced sold for around $37 million. A new Q400 would be out of the price range, but the manufacturer, Bombardier, and Conair, which does the conversions, are both based in Canada, which appears to be a preferred source of NAFC. I have seen a used Q400 advertised for about $12 million. A previously owned BAe-146 or RJ85 can be bought for $5 to $6 million, and adding a retardant delivery system might run around $3 to $5 million more. There are used 737-400s on the market for about $3.5 million. Coulson and Conair, both Canadian companies which are currently converting these models, would probably be happy to make a sale. Of course Neptune is also building BAe-146s. A new C-130 or LM-100J would be out of the question at their budget. Used C-130s are difficult to find and the cost can be higher than retired airliners. Above: Air Tanker 944, a 747-400, drops near structures on the Palmer Fire south of Yucaipa, California at 4:25 p.m. PDT September 2, 2017. The aircraft was under a CWN contract with CAL FIRE. Photo by Leroy Leggitt, used with permission. 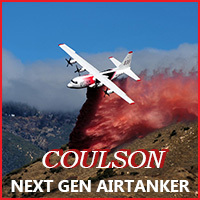 On June 15 the U.S. Forest Service issued solicitations for Call When Needed (CWN) air tankers. There are two separate requests for proposals (RFP), one for Large Air Tankers (LAT) and another for Very Large Air Tankers (VLAT). 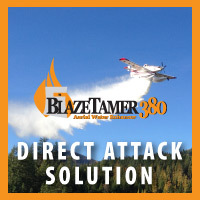 Aircraft less than 3000 gallons or greater than 5000 gallons are not considered necessary or more desirable than aircraft in the target volume, given the priority mission for these airtankers is initial attack. And the VLAT RFP “prefers” aircraft that can carry at least 8,000 gallons. Aircraft with greater than 8000-gallon (72,000 pounds) dispensing capacity are preferred. Aircraft less than 8000 gallons are not considered necessary or more desirable than aircraft at the target volume, given the primary mission for these airtankers is large fire support. It is interesting that the RFP has such imprecise language for this important specification, capacity, that can be easily required and measured. It is not subjective, unlike the editorial comments about one type of air tanker being prioritized for initial attack and another for large fire support. This assumes that LATs are not suitable for large fires and VLATs are not appropriate for initial attack. There are so few federally contracted air tankers available, now that the numbers have been cut again, that during periods of high fire activity too often no air tanker is going to arrive during the initial attack stage when a new fire is still small — unless it is on state land in California where CAL FIRE still believes in aggressive initial attack from both the ground AND the air. A VLAT, while carrying three to six times more than a LAT, can split their load, only dropping what is necessary, and land partially loaded with retardant if necessary. 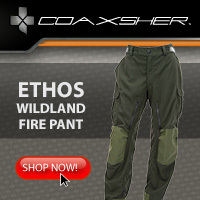 The Government Accountability Office (GAO) and various congressional committees have been begging the Forest Service for many years to develop hard data to determine the effectiveness of firefighting aircraft and the liquids they drop on fires, so that better decisions can be made about how the $100 million appropriated annually for this activity should be spent. The last time the Forest Service issued a solicitation for CWN air tankers was 222 days ago, on May 16, 2017. 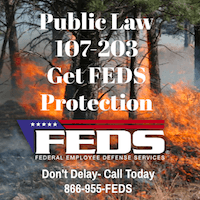 For the first time in their air tanker contracting history, according to the GAO, the FS at that time restricted the maximum size of retardant tanks, specifying the capacity must be between 3,000 and 5,000 gallons. This eliminated VLATs from being able to compete, since the DC-10 holds 11,600 gallons and the 747 carries up to 19,200. The summaries are not currently available. Unforeseen delays with staffing changes, retrieving aviation use data, and completing final reviews has delayed their overall schedule. The AFUE work group is continuing their work to complete the summaries and they will be provided as soon as they become available. Above: Tanker 07, a P2V, drops retardant on the Red Canyon Fire nine miles southwest of Pringle, SD July 9, 2016. The reduction in Exclusive Use contracts is due to the “Legacy” Exclusive Use Airtanker contract expiring in 2017. The Forest Service has known for years that 2017 would be the last season for the Korean War vintage P2V’s with the 18-cylinder radial engines. In 2013 the agency began a contracting effort to bring in “next generation” turbine-powered aircraft with the ultimate goal of eliminating the P2V’s. The last four that were on contract in 2017 are now retired and most will find final resting places in museums. In addition to losing the four P2V’s, the Forest Service cut three Next Gen BAe-146’s this year. The Forest Service is working to responsibly allocate ever tighter financial resources in the most responsible manner. Chief Christiansen told us this week they will have “up to 16” large air tankers available through Call When Needed (CWN) contracts. This is an increase over the 11 the FS told us about in February. If CWN air tankers are available the cost can be up to 54 percent higher than those on EU contracts. There are two costs for air tankers — daily plus hourly. If the aircraft just sits at an air tanker base available with a flight crew it only earns the daily availability rate. When it flies, an hourly rate is added. These costs only account for the additional costs of contracting for the air tankers, and do not include any increased costs of new, small wildfires escaping initial attack due to a lack of available air tankers or Type 1 helicopters (which have also been cut, from 34 to 28). And it does not include property damage or, heaven forbid, lives lost. In addition to the 13 air tankers on EU and the 11 (or 16) that may or may not be available on CWN, the Forest Service will use one Coast Guard HC-130H. They will also have access to up to seven military C-130’s which can be outfitted temporally with 3,000-gallon MAFFS retardant systems. And, they have occasionally borrowed air tankers from Canada and the state of Alaska if they were available.